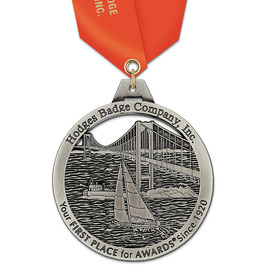 This medal is also available with enamel or glitter fill colors. Glitter fill colors, add $0.50 per color per medal. Call 1-800-556-2440 for more information and to request a quote for more than 5 colors.